Imagine an enchanting spring garden. 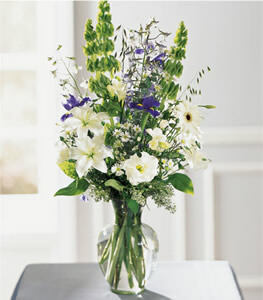 This bouquet makes it real - lovely white lilies, lisianthus and freesia combine with stately blue belladonna, Bells of Ireland, and purple iris. Best of all, you can bring this garden indoors.